For the past few years I've been developing a solo that continues to explore my curiosity concerning the relationship between vocalizing and moving, how movement affects sound in the body, and vice versa. I'm engaging with the simplicity of performing with minimal technical enhancement (no pre-recorded music, simple or natural lighting, no sets or video), following a line of research artist and friend Ben Spatz proposed called "what a body can do". Each performance is affected by the acoustic properties of the space it is performed in, and adjusted accordingly. The piece has roots in song forms and improvised movement structures, drawing on my background as a singer, dancer, choreographer and qi-gong practitioner. To date I have performed the work during the Moving Arts Lab at Earthdance (Summer 2014); at the LocoMotion Festival in Skopje, Macedonia (Fall 2014) through support from the Trust for Mutual Understanding, administered by Movement Research; excerpts of the work at the Inaugural LEIMAY Benefit (Fall 2015); during PERFORMATICA in San Andrés Cholula, Puebla, México (Spring 2016); and most recently in June 2016 at the Museo para la Identidad Nacional in Tegucigalpa, Honduras, and during the SOAK Festival at LEIMAY/CAVE in Williamsburg, NY. ﻿Summer 2010 marked the beginning of a collaboration with Serbian actress/vocalist Ana Sofrenovic. Ana and I met in 2006 during Meredith Monk’s professional training workshop at the Weill Music Institute at Carnegie Hall. In October 2010 Ana visited New York for an initial research and development phase, through support from CEC ArtsLink's Independent Projects initiative. 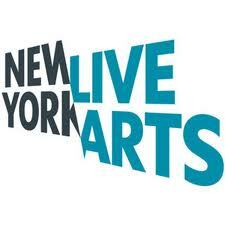 In Spring 2011 the project received support from New York Live Arts' Suitcase Fund for activities in Zagreb, Croatia (with additional support from the Zagreb Student Center-Culture for Change) and in New York. Spring 2012 activities received support from The Trust for Mutual Understanding, administered by The House Foundation for the Arts. In Summer 2013, Ana returned to New York and joined me for the International Interdisciplinary Artists Consortium (IIAC) residency and the Moving Arts Lab at Earthdance in Western Massachusetts. Stay tuned for more information about a forthcoming short film and installation.